Bhath is cooked rice.Vanga means eggplant or brinjal.This rice variety is not one that is normally made in our place.Came to know about this rice in various blogs.Wanted to give it a try.I had a couple of eggplants in my fridge and was bored of making the same dishes with it.So made this and I totally liked it a lot..Loved the tanginess the tamarind gave to the rice..I will be definitely making this again..Here goes the recipe for yummy vangi bhath. Cook the rice with enough water and seperate the grains with a fork..Fry the eggplants with a little oil in a saucepan until it almost gets cooked..
Dry roast the masala ingredients and grind them into a fine powder..
Do the seasoning with all the ingredients.When it starts spluttering and the peanuts turn reddish,add the tamarind juice and the ground masala..Simmer for a while until the ol floats on the top..Now add the eggplants and salt..
Cover the vessel and allow the eggplants to cook until tender. Now mix the prepared mixture with the cooked rice..Adjust salt as necessary.. Serve with raita.I served it with raita and potato chips..
Little Hearts biscuit was my favorite..I saw this recipe in a cookbook I borrowed from my local library..These biscuits are flaky and crispy,sweety as well as salty..The biscuits I made were not very similar to the little heart biscuits yet they tasted too good..This recipe is a keeper and I will be making this again..It is too simple and takes a matter of minutes to make these when you have puff pastry in hand.The photos were taken in a hurry so they are not too good..So bear with me. Thaw the puf pastry according to the manufacturers directions.. Mix the sugar,cinnamon powder and lemn zest together in a bowl and sprinkle the mixture evenly over the puff pastry..With the help of a rolling pin press the mixture onto the pastry and roll it out a little..
Now start from the longer end of the pastry,roll it towards the centre until you reach the middle.Do the same from the other side..Now cut the pastry perpendicularly into small strips of about 1/2 inch thick..Rol it again in the sugar mixture. 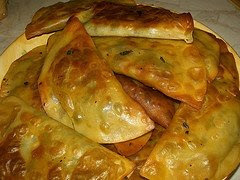 Place them in baking sheets and bake for about 7 to 9 minutes until they start turning brown.Take care not to burn them because they burn too quickly.. 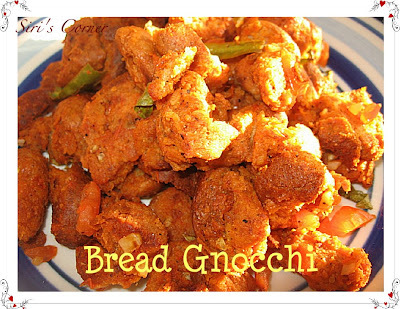 This recipe is adapted from Jugalbandi..There needs no introduction to the duo at Jugalbandi..They are amateurs in quiet a lot of fields be it cooking,photography, blogging, writing,gardening..I had a lot of recipes bookmarked from their site..I wanted to make something for Tried and Tasted featuring Jugalbandi this month..I came across this Chikha Pesto,Bihari Style..It is very much the same Keerai Masiyal without the seasoning..I followed the recipe exactly except that I skipped the mustard greens since I did not have them..It turned out to be a perfect,healthy lunch.. 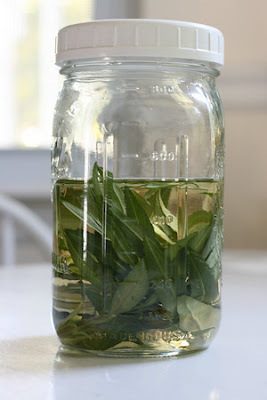 In a saucepan,bring water to boil and blanch the spinach for 2 to 3 minutes..Remove them carefully from the hot water and transfer it intoa container with cold water.Drain the excess liquid.Reserve a little of the liquid.. Transfer the spinach to a blender along with the other ingredients..Add a little of the reserved liquid to obtain the required consistency..Add salt to taste. 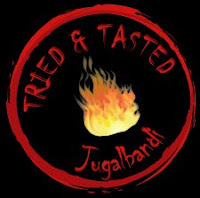 Sending this to Tried and Tasted hosted by Zlamushka featuring Jugalbandi. I had bookmarked this recipe a while ago from Sunita's blog..Being a sweet tooth I have always made sweet cookies.First time venturing into savoury cookies,this was too delicious..I did not get the exact round shape as Sunita's..They were perfect with hot chai..The aroma of roasted cumin filled our house..I made almost two dozens and they all got over in no time.. 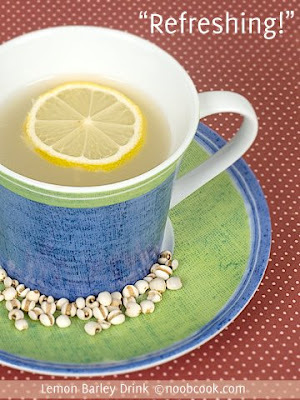 In a large bowl, combine together the flour, baking soda,sugar,salt and cumin seeds..Mix well. Add the oil and milk and knead the flour.Do not over knead the flour as it might result in hard cookies.. Roll out the dough using a rolling pin to about 2 mm thick..Using a cookie cutter cut into desired shapes and carefully transfer them to a lined baking sheet. Bake them in a preheated oven for 20 to 25 mnutes unitl the top of the cookies start browning slightly.Take care because they burn quickly. 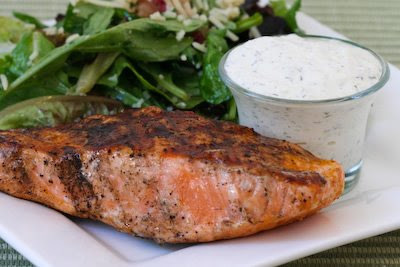 Am sending this to Sunita's Think Spice: Think Favorite..I have used cumin..
And also to Bookmarked Recipes hosted by Ruth. Broccoli florets cooked in vegetable broth is combined with milk, and onion sauteed in butter and mildly flavored by mint and thyme to create this rich creamy soup..This is a recipe I noted down from Food Networ a long time ago.The change I made was that I omitted the cheese in the recipe and added few mint leaves to add a minty fresh flavor to the soup..The soup tastes heavenly when accompanied my fresh breadsticks.. Melt the butter in a medium saucepan, over medium heat. Add the onion and garlic and cook until translucent, about 5 minutes. Add the potato, thyme, mint, salt, and broth and bring to a boil. Adjust the heat to maintain a gentle simmer, and cook uncovered until the potato is fork tender, about 10 minutes. Add the broccoli and simmer for 3 minutes. 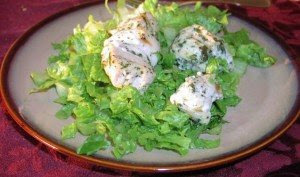 Garnish with fresh mint leaves..Serve with optional toppings and warm breadsticks.. This was the first time I made this kuzhambu at home..Methi leaves are very good for diabetic and heart patients since it has good fibre and aids in control of sugar and cholesterol.Garlic is very effective in treating high cholesterol..This curry goes well with both chapathi and rice..It is a quick one to prepare too..Here comes the recipe..
Then add the onions ,garlic .Saute them well till they give out nice aroma. Then add the tomatoes and methi leaves and saute them well. Now it is time to add the chilli powder and coriander powder and saute for 2 seconds. Finally add the salt and tamarind extract and let them boil for 5 mins on medium heat. This goes off to Srivalli's Curry Mela. 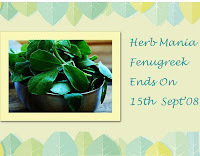 Am also linking the other curries from my blog for the Curry Mela..
Also sending this to Herb Mania: Fenugreek hosted by Red Chillies. I am back with another muffin recipe..This time I wanted to make an eggless muffin..I found this recipe in Madhuram's blog and I immediately wanted to try it.However,I made a few variations.I used dried cranberries instead of the golden raisins..Here goes the simple muffin recipe. In a wide saucepan, add the butter,brown sugar,granulated sugar, cranberries,grated apple, cinnamon,nutmeg and powdered clove.Add the water and bring it to a boil..Allow the mixture to cool completely.. 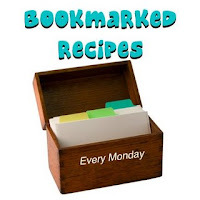 In another bowl,mix the flour,baking soda and the chopped walnuts.Stir just until combined..
Line muffin pans and pour the coled mixture .Bake for about 20 to 25 minutes.Check with a toothpick if it is completely baked.. I served some with store bought frosting.They also taste good without the frosting. For step by step pictures check this..
Am sending this to MBP:Fruit Fare initiated by Coffee of Spice Cafe and hosted this month by Aparna of My Diverse kitchen. Happy Independence Day to all my friends!! 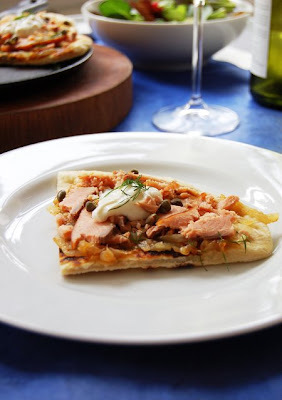 Celebrating this special occasion with a dish having the colours of our tricolor flag! This is an easy and quick breakfast to prepare during busy mornings..I also make this during weekends..It is an easy one to prepare in almost n ime..I like to add colour and more taste to the dish by adding different veggies making it more healthy..Here goes the recipe for simple Semiya Upma..
Dry roast the vermicelli in a pan for about 3 minutes until it gives away the raw smell..Remove it from the pan and keep aside..In the saucepan, add two spoons of oil and do the seasoning with mustard,urad dhall and curry leaves..Then add the chillies,onion and ginger paste and saute for about two minutes until the onions turn translucent..Add the tomato,carrot and peas and saute again..Add the water and bring it to a boil..Finally add the vermicelli and give a stir..Simmer until the water gets absorbed and forms a thick mass..Garnish with coriander leaves.. 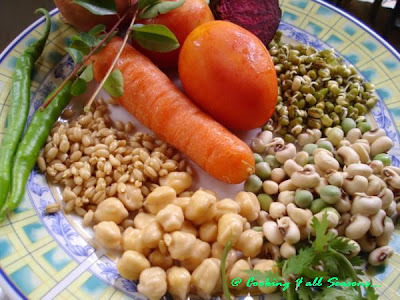 Serve with coconut chutney,or chutney of your choice.. 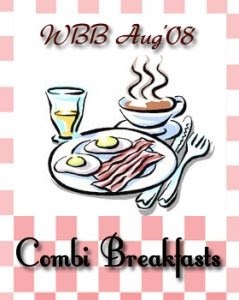 Since I found the colour of the ingredients used resembling the colours of our National flag,am sending this to Pooja's Independence Day Event..
Also sending this to WBB:Combi Breakfast hosted by LAtha this month.. 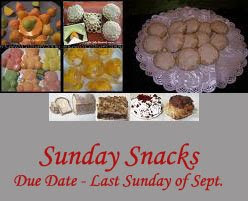 I have posted the roundup in the order I rceived my entries..Enjoy the roundup! 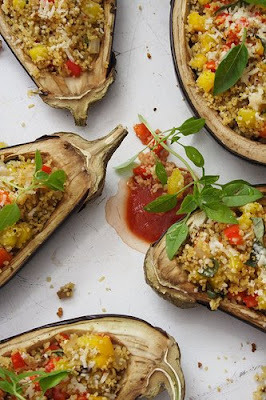 Marija of Palachinka presents her exquisite Couscous stuffed eggplants.She peps up the dish with basil,thyme,Vegeta seasoning and few other interesting ingredients.She has presented the dish so beautifully..Check out her blog for more beautiful dishes! 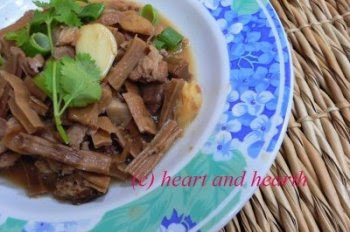 Ning of Heart and Hearth from Phillippines makes a stew with fresh bamboo shoots from China..They are a rich source of Potassium and fiber..She says"After all, if a panda can grow as big as they are through eating bamboos alone, then it must truly be good food! 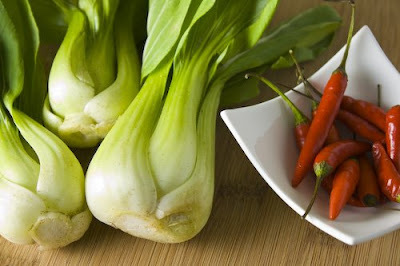 "Check out interesting myths about bamboo in her post! Maria of Organically cooked from Hania makes Lenten Kalitsounia for The forefeast of the transfiguration held in her community.She uses Vlita(amarnath leaves) in making this unique dish..She makes a vegan version of Kalitsounia especially for the feast..
Syrie of Taste Buddies from Canada presents a Smoked Salmon Pizza with caramelized onions topped with capers and dill weed flowers.She tells a story of how her friend started liking caramelized onions a thing which she hates the most..The pizza does look too appealing with the smoked salmon..Wish I had a slice right now! 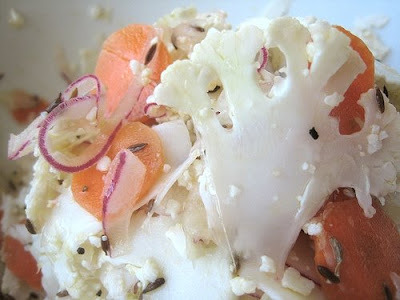 TS and JS of Eating club from Vancouver presents a Cumin Cauliflower slaw. A great way to consume veggies in a natural way.She says she coveted this slaw recipe from her neighbour.She dresses the slaw using lime, honey, apple cider vinegar, extra virgin olive oil. 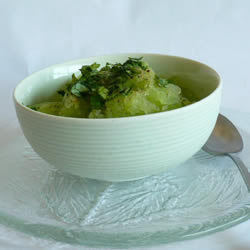 Wiffy of NoobCook sends in a lemon barley drink.Barley has cooling properties and it is a refreshing drink to have during this scorching summer.Winter melon sugar and Pandan leaves adds more flavor to the drink. 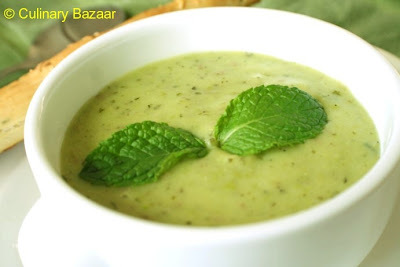 Dhivya of Culinary Bazaar from Calfornia makes this minty peas soup on an overcast day.She says this soup is rich not by way of calories but rich by way of taste.The soup looks creamy and rich.Check out her post for simple minty ideas..
Srivalli of Cooking for all Seasons from India gives us great information about the Sprouting Process..It gives us insight on which beans and berries can be sprouted.Check out her blog to know the nutritional information of sprouts. Kalyn of Kalyn's Kitchen our host from Salt Lake City presents the recipe for Market Street Grill Creamy Cucumber-Dill Sauce for Fish..The sauce looks creamy and rich and made with dill,fat free mayo and fat free sour cream..Have a look at her south beach recipe suggestions..
Ivy of Kopiaste..to greek hospitality from Athens presents Okra Ladies Fingers-Mpamies.She makes a unique combo with okra,chicken and feta..Check out her mouth drooling pictures..
Christine of Kitschow from Canada makes Cucumber Ice using Japanese Cucumbers.This is a perfect treating during hot summer days.She also gives other aesthetic uses of cucumber..
Natashya of Living in the Kitchen with puppies makes oregano oil using the oregano cultivated from her garden.She makes an oregano marinade with it which can be used for poultry,fish,meat and vegetables. 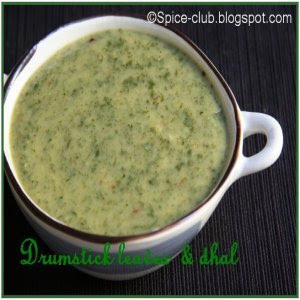 Cham of Spice-Club from California makes Drumstick leaves and dhal.Drumstick trees are found in almost every backyard in South India..Check out her blog for the various superstitions and beliefs about drumstick trees! Kamala of Mom's Recipe makes a fresh Swiss Chard Masiyal.She says she misses arai keerai masiyal she used to have back at home.This tastes best with sambhar and rice. 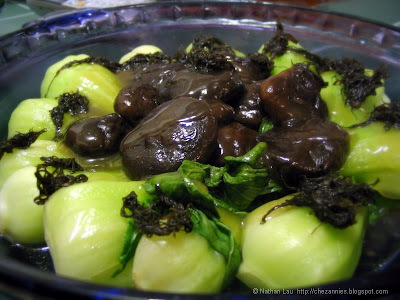 Nathan Lau of House of Annie from San Jose makes Steamed Shiitake Mushrooms with Bok Choy and Fatt Choy.Check out her blog for quick asian dishes. 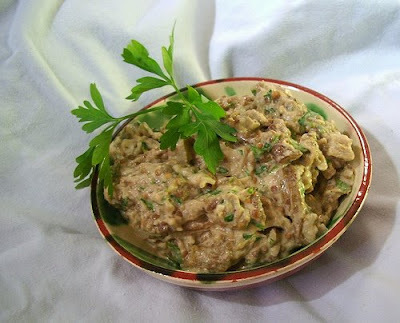 Pam from Sidewalk Shoes makes a simple Tarragon Vinegar which pairs very well with any type of meal.This can be made in minutes..
Sherra from Our Taste of Life makes Tokwa't Baboy with Tausi ..She uses kinchay to pep up the dish..
Jennifer of Like to Cook makes Baba Ganoush with parseley..This dish is a simple one with a few ingredients..But tastes great as a dip with pita bread. Priyanka from Asan Khana from Singapore makes a No Cook Spaghetti with basil..She gives great information about basil and also ways to preserve and store them. 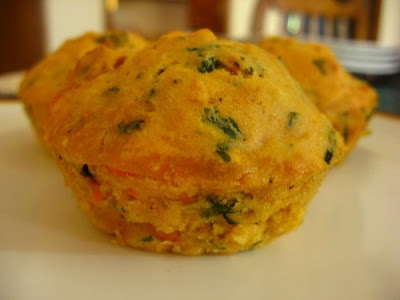 Lakshmi from The Yum Blog bakes carrot coriander muffins.Savory muffins taste great when infused with herbs.And this carrot coriander combo sounds unique and appealing.Do check out her blog for some fascinating authentic south Indian recipes. 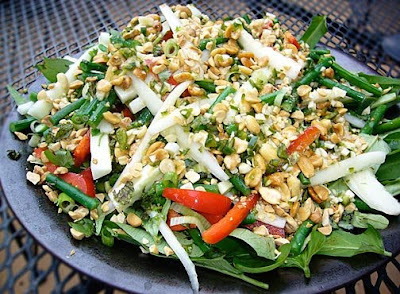 Beth from The Ex Patriate's kitchen makes a fresh thai summer salad with long beans and water spinach..The salad looks healthy and perfect for this weather. 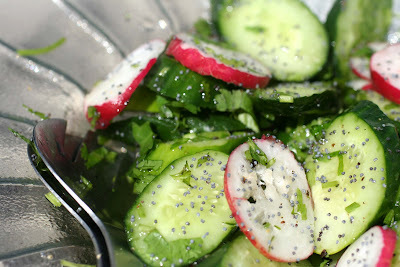 Valentina from Trembom makes a crunchy cucumber and radish salad..She uses Lebanese cucumbers in the salad.The salad is full of goodiness and loaded with vitamins. 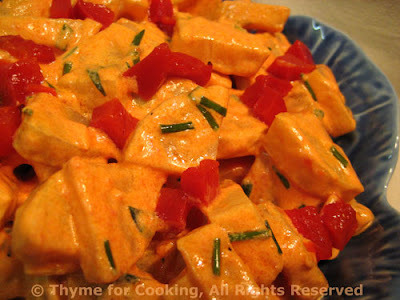 Katie from Thyme for cooking whips up a potato salad with pimento dressing. The salad looks colourful and is rich in vitamins and minerals and is a perfect substitute for all the vitamin and other supplements. 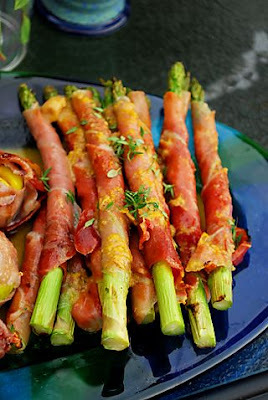 Jerry from Jerry's thoughts,musings and rants makes Asparagus wrapped in Pancetta with Citronette.She grills the asparagus and the citrionette gives a zing to the dish. 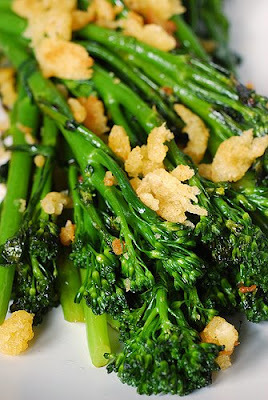 Haalo of Cook almost Anything atleast once from Australia makes Sautéed Broccolini with Garlic-infused breadcrumbs.Check out her blog for more details about Broccolini which belongs to the Brassica family. Siri of Siri's Corner makes Bread Gnocchi flavores using rosemary.Check out her quicker version of bread gnocchi which can be made with a prep time of 15 minutes. 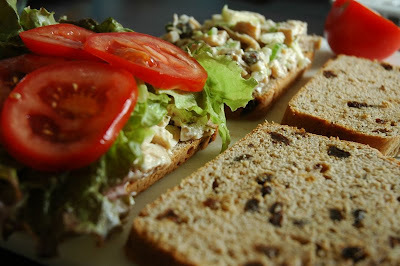 Erin of The Skinny Gourmet from Chicago makes Irish Chicken Salad Sandwich on Soda Bread.Check out her blog for useful information about caraway..
Jude of Apple Pie,Patis and Plate from Chicago makes a stir fry using Shanghai Bok Choy.This can be prepared in minutes and makes a whole meal in itself..
Cheryl of Gluten free Goodness makes a minty chicken for us with the chocolate mint from her garden.She also uses Stevia and marjoram leaves to flavor the chicken..Check out her blog for more gluten free recipes. Finally, the entry by the guest host!Yes, that's me..My entry is cheese oregano straws made using puff pastry.The oregano gives an aromatic,warm and slightly bitter taste to the cheese straws and they serve as a great appetizer and tea-time snack..
Hope I have included all recipes in the roundup..Do let me know if I have missed any..It was fun hosting this event.Thanks to Kalyn..